Professional hair stylists require professional hair cutting scissors. We understand that. We also know there are a lot of lower quality hair cutting scissors on the market. They come with a cheap price and often matching performance. At Stay Sharp Shears, we only offer the best professional hair cutting scissor brands with a proven track record of performance. You will find the highest quality hairdressing scissors at the very lowest prices. Our large selection of hair cutting scissors is also complimented by our other professional hair styling products as we know you need more than great hair cutting scissors to achieve the style your client's demand. Growing your hair styling career? When shopping for hair cutting scissors it can be tempting to grab the cheapest hair shears. However, these hairdressing scissors will be used every day so we encourage you to shop the best value, never just the "cheapest". If you are just starting out, or looking to save some money, you can still get the best brands with some savings by looking through our matching hair scissor sets where you will find the best hair cutting scissors bundled at a great price. You might also be interested in browsing our popular hair cutting shears and thinning shears sections. Or take a look through our full collection of hairdressing scissors for individual values. Have a favorite manufacturer? 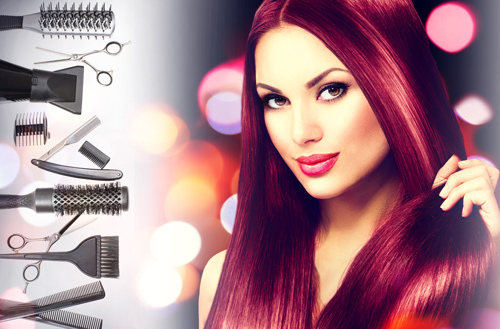 We carry professional hair cutting scissors by brands with a proven track record. Browse our collection of Hikari Shears, Yasaka Shears, Washi Shears, Etaro Shears, Matsuzaki Shears, and Akkohs Shears. When you have found your perfect hair cutting scissors, we also provide professional hair scissor cases at a great price to store and protect your valuable hair tools. Your professional needs don't end with hair cutting scissors and neither do our services. You need the best hair styling accessories to create "the look" so we provide the best quality hair styling products. Shop our full line of YS Park Combs, YS Park Brushes and YS Park Clips. The YS Park line provide incredible value at a very cost effective price. We also offer popular Curling Irons and Hair Dryers from Hot Tools allowing you to complete "the look" and send your clients happily on their way. In addition to our hair cutting scissors and hair styling products, we also provide professional hair scissor sharpening. Our hair scissor sharpening service includes balancing, alignment and a razor sharp edge all performed to factory specifications. All scissor sharpening work is guaranteed. We know the value of a hair cutting scissor and will professionally restore the edge on your hair shears so you can stay focused on your business. If you have any questions on what hair cutting scissors are best for you or what hair accessories would be valuable to your practice, feel free to contact us and we can discuss your needs.